Our home officially closed last Thursday and we moved in that Thursday and Friday. We are so thankful and very happy to be living in Lynden. It is kind of hard to believe that our home in Waxhaw closed on November 4 the day after we arrived in Bellingham and that we were able to find a home in Lynden and it closed before Christmas. We also have appreciated the generosity of a family that provided us with very affordable temporary housing in Bellingham while we looked and purchased our home. We look forward to trying to glorify our God in all we do and we continue to strive to be a family that opens our home to others so please feel free to stop by. If you are visiting the Bellingham area, don’t hesitate to check with us if you need a place to stay. We enjoy visitors. SEE ADDRESS & MAP BELOW. Click here to read their entire letter. 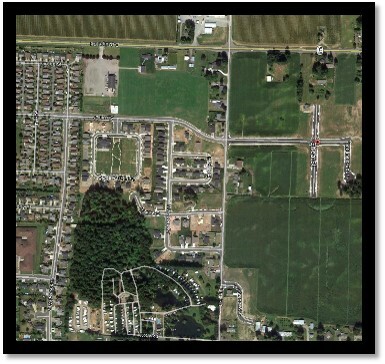 The entrance to our development is on Aaron and Line Rd (NE area of Lynden).